Mal Fletcher is a respected social commentator and social futurist who has been a media commentator and presenter for more than 25 years. He is often called upon for expert views on social issues for TV, radio, the press and web media in various parts of the world. As a social futurist, he and the 2020Plus research team track major social shifts. Mal writes, lectures and broadcasts about their likely future impact on business, organisations and the wider society. 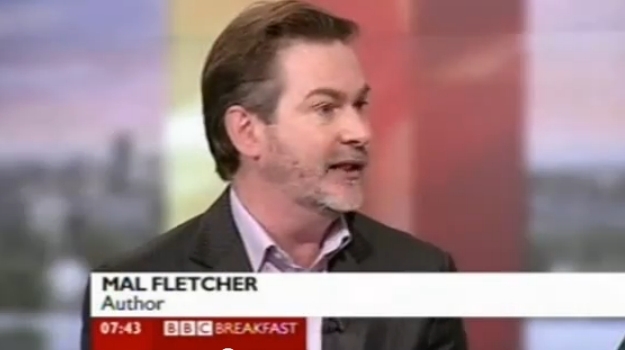 Mal Fletcher's work features on BBC Breakfast TV, Sky News, BBC World News, BBC Radio (e.g. Radio 5Live & regional stations), ABC Australia and many other media and press outlets in various parts of the world. His work has featured in such publications as the Sydney Morning Herald, Melbourne Age, Guardian Online, Sunday Times (Ireland) and more. His social comment editorials are regularly reproduced in several online news and discussion magazines. Mal Fletcher's latest book, Fascinating Times is a social commentary. It takes a sharp-eyed look at some of the major social issues of our time and their likely impact on the future of how we live. "Mal Fletcher comments on society not only as it is, but as it could be. Mal’s is a voice that should be heard." "Mal Fletcher is an astute observer of the changes in western culture. He outlines the meaning behind sociological changes for a broad audience." Do The Private Values Of Public Leaders Affect Their Performance? Do Young People Appreciate Their Parents?